Remember how you felt after your last trip to the Mexican restaurant? 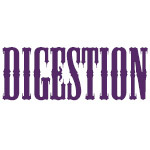 If your first thought is of an upset stomach, consider taking digestive enzymes. Because your body's enzyme production drops off after you hit age 30, foods high in fat and carbohydrates become more difficult to digest potentially leaving you with bloating, constipation, or diarrhea. Taking enzyme supplements regularly (or eating enzyme-rich foods like pineapple) helps break down foods so that nutrients can be absorbed. They can also help ease symptoms of lactose or gluten intolerance. Never take enzymes, though, if you have open stomach ulcers ¡ª the results can be painful. When buying supplements for digestion, look for plant-based products that combine several enzymes they are more likely to work across the gastrointestinal tracts' broad range of pH levels. And be sure to take the pills with food; try them with two meals a day for at least three months; after that, you may be able to go with your gut and cut back.